Happy Karva Chauth to all the married ladies! If you don't know what occasion that is, please read all about it here. In India, your fast must be over by this time. It's only around 5:50 pm yet over here (UK). Mr.CZ: 'Aww....So, I'm thinking about getting you something....but I don't know what color you like....err....something from YSL or Lancome....or....what do you want?" I thought I'd take a moment to talk about The Husband's Secret. Something with the word 'husband' just suits Karva Chauth, don't you think? This book has (consumed) me. It is the most unputdownable book I've ever read. I don't want to sleep, I just want to finish reading it! (Eyes, please, open!) The type of story is a little like Desperate Housewives. Suspense-filled, clever & hilarious at times. I have not finished the whole book yet, but I already know 'The Husband's Secret'. I don't know how it'll end, but so far, it's one of the best books EVER! 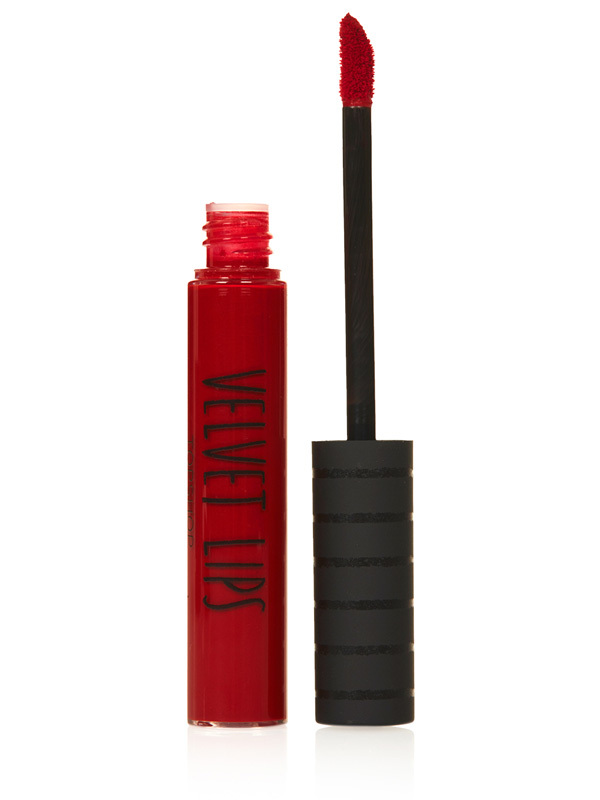 I had seen these Velvet Lips liquid matte lipsticks in Topshop the other day, and I was thinking about them a lot last night (Sheesh, I should have just bought one. Idiot!) I thought they might be like Lime Crime Velvetines, which I really wanted to try, specially Red Velvet. So ya, he's bringing home 2 - red & a plum. It's been a super stressful day. I had to finish other work, and solve other problems. So much that I haven't even felt any hunger yet. But I'll be a happy wife in a few hours. .....and I'll be back on my pillow with The Husband's Secret. He he! Do share your little karwa chauth haul ;) Enjoy! Wooo.. thats so sweet of him.. me too was on fast but he didnt even asked for any gift.. sob sob!! :( :( ..
Awww such a sweet post! I'm intrigued by the book now....I think should read it. I agree on Husband's secret... I read it in less than 2 days! LOVE great reads! Some do. There are many hindus there too. I'm not a hindu, but I do it.